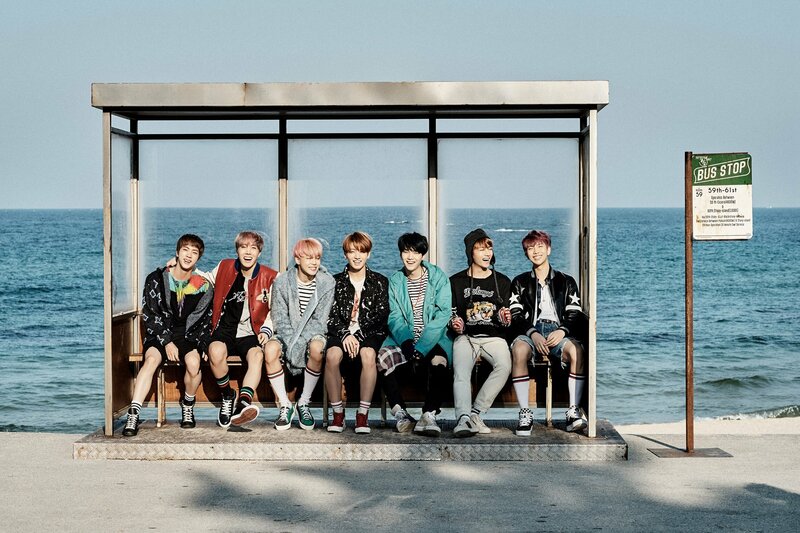 Big Hit Entertainment apologises after BTS controversy with atomic bomb shirt and Nazi emblem hat – Hello Asia! Big Hit Entertainment have released an apology addressing instances where BTS members were wearing a T-shirt depicting the explosion of an atomic bomb and a hat with a Nazi emblem. After images spread of the singer wearing the shirt on social media, many Japanese TV broadcasters have cancelled or stopped discussing appearances in the country. BTS faced further troubles after the news was released about another member was pictured with a hat featuring a Nazi symbol in a magazine photo shoot and band members flew flags with what appeared to be Nazi swastikas during a concert in the past. As such, Big Hit Entertainment decided it could no longer remain quiet, and has released a statement. The full translated statement is as below. These are the issues that Big Hit has reviewed: first, that our artist has worn a shirt with imagery of the atomic bomb. Second, that our artist has worn a hat with Nazi symbolism in an old photo shoot for a Korean media outlet. Third, that our artists are said to have used flags with Nazi imagery during a performance at a concert in which they participated. This is our statement in response to each of those issues: in BTS’s promotions as well as the promotions of all our artists, Big Hit does not support war or the atomic bomb. We oppose these things and did not mean to cause harm to the victims of the atomic bomb, and this will not change. In BTS’s promotions as well as the promotions of all our artists, Big Hit does not support any form of totalitarianism, including Nazism, or any groups with radical political tendencies. We oppose these things and had no intention of causing harm to the historical victims of these groups, and this will not change. This is our apology for the issues mentioned above. About the item of clothing with atomic bomb imagery, as we stated above, it was not done with any intent, and we have confirmed that the shirt itself was not produced with the intention of causing harm to the victims of the atomic bomb. However, it is obvious that harm may have been caused unintentionally to the victims when the shirt was worn due to our lack of foresight and preparation. We sincerely apologize for potentially causing discomfort through the appearance of our artists being connected with atomic bomb imagery. About the hat with Nazi symbolism being used in an old photo shoot, as we have stated above, it was not done with any intent. The clothes and accessories used in the photo shoot were given to us by the media outlet. Our artists ended up wearing them due to our inability to sufficiently check beforehand and harm may have been caused unintentionally to the victims of Nazism. We sincerely apologize for causing discomfort through the appearance of our artists being connected with Nazi imagery. However, we would like to clearly state that the responsibility for these issues lies with Big Hit, who was not able to fully support our artists. Our artists have to deal with many schedules and site conditions and the responsibility for the above issues does not lie with them. This is our statement on the issue of the concert performance: the concert in question was the 2017 anniversary concert of the legendary Korean artist Seo Taiji. The performance in question was built around the social message of criticizing the reality of standardized education. The imagery on the flags was artwork without any connection to Nazism. The message of the performance was to criticize a standardized, totalitarian education system. The performance became an issue because it was said that it was related to Nazism. This is not true at all, and in fact the performance was meant to criticize that kind of totalitarian reality. Big Hit will do our best to reform these problems that have been raised. Our motto is to give comfort and emotion to the world through our music and our artists. It is a challenge for us to consider the many elements that arise from living in an era of diversity and tolerance, but we are doing our best to fulfill that duty. In the future, on the basis of our understanding of not only these issues but various social/historical/cultural backgrounds, Big Hit and our artists will more carefully consider the details of our promotions so that we do not cause harm to people. Once again, we apologize to the people who were hurt by our lack in dealing with these issues. Big Hit Entertainment addressed the issues head-on admitting to the past things that were done in poor taste, saying that the intent wasn’t to offend.